There will be two Todds in downtown this weekend: the man known as "Mr. Gresham," who spreads kindness throughout the community, and a bronze sculpture capturing his likeness. The city's newest piece of public art will be unveiled Saturday afternoon, Sept. 22, in downtown Gresham along Northeast Third Street between North Main Avenue and Northeast Roberts Avenue. 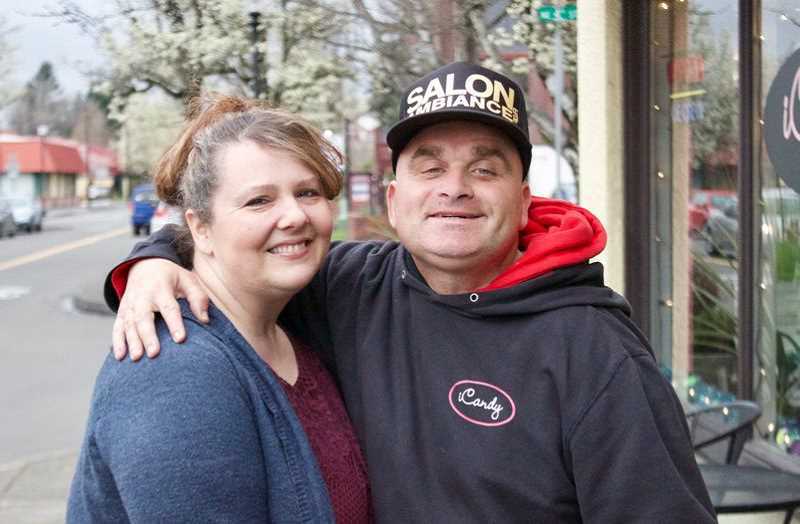 The day will be filled with festivities honoring Todd Kirnan, a longtime Gresham resident who spends his days doing various tasks for downtown businesses, one of the most popular being delivering meals. The well-known community figure always has a smile and warm greeting ready for friends and strangers alike. The celebration begins at 10 a.m. with a parade that will run along Main Street, with Todd being escorted by fire trucks and police motorcycles. The party will continue as the statue is unveiled. There will coffee and bagels donated by Jazzy Bagel, free cupcakes from Sugar Cubed Cakes, a "Todd Passport" that will take people to local businesses with specials of the day, and a chance to earn stamps to win a $100 gift card bouquet and Mr. Gresham stickers for sale to offset the statue's cost. Throughout the event, 1980s dance music, Todd's favorite, will be playing. The event is cosponsored by Gresham Outdoor Public Art and the city of Gresham.